Tarwhine are found from Townsville in Queensland, south through to Albany in Western Australia (excluding Tasmania). 3 kg and a length of over 40 cm (Tarwhine up to 70 cm have been caught in South Africa). Prominent golden lines on head and body, with a silver background colour. The head is more rounded and snout not as pointed as bream. 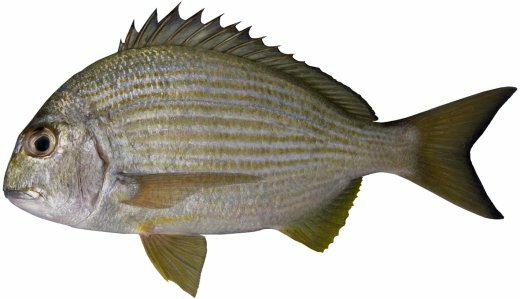 Tarwhine are often confused with Yellowfin and Black Bream, but Tarwhine have more scale rows above the lateral line (6-7 v 4).